inMemory+ is a modern high performance efficient database product. 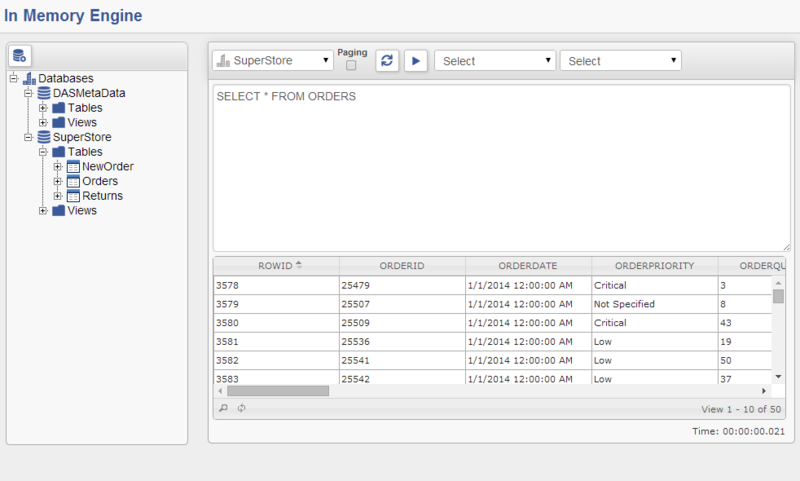 inMemory+ has a component data synchronizer through which you can import and export data. The following highlights show you the strength of inMemory+. 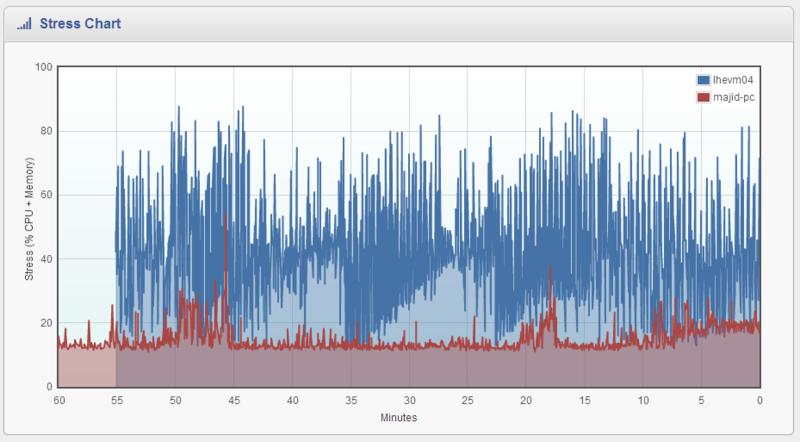 Prior to the introduction of inMemory+, the performance monitoring of distributed applications was challenging. inMemory+ has solved this problem by providing excellent support for real-time performance monitoring, allowing you to see the stress on all nodes present in a cluster. 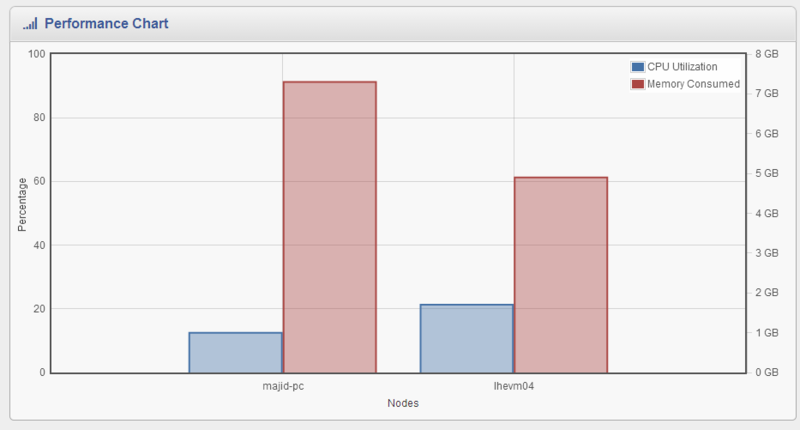 inMemory+ provides an informative visualization for the CPU utilization and memory consumed by all nodes in a cluster. 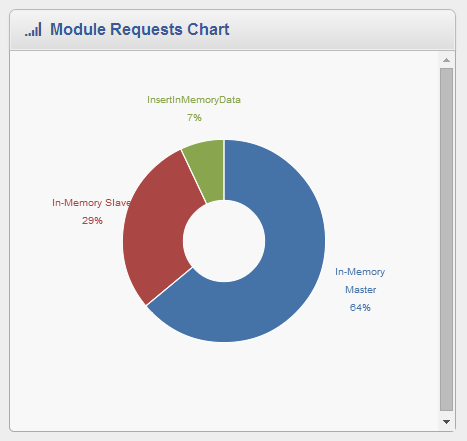 You can see the most frequent modules used by the system. 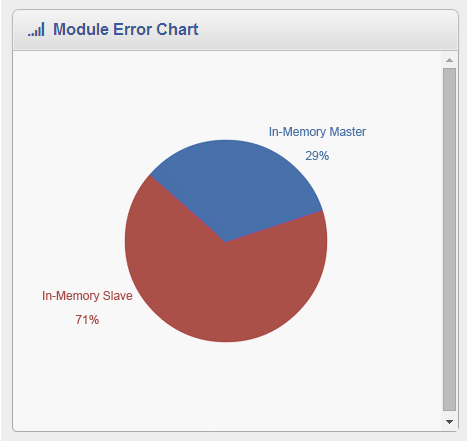 And you can also determine what are the erroneous modules having errors or exceptions. The worldwide proliferation of data is creating new challenges, and new opportunities for enterprises seeking to transform their business to better respond to ever changing market conditions. Businesses need better performance from their transactional applications to respond to customer demand in real-time, not just at the end of the day when the batch processes complete. If they cannot satisfy the needs of their customers in real-time, they will lose to the competition. For example, customers that sell products online are now looking to implement dynamic pricing so they can always offer their customers a competitive price. This strategy requires a high-performance real-time environment.